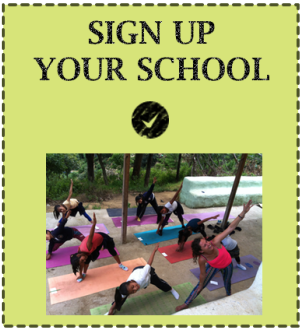 SERnina is a small group of dedicated women who are creating and instructing confidence-building classes for girls in Antigua and nearby towns. The story began through REALgirl, a U.S.-based girl-empowerment program, and Danielle Skogen, a passionate teacher who has lived in Antigua for over 3 years. Danielle noticed an enormous need to provide Guatemalan girls with the self-esteem and life skills they need to succeed and prosper. A little goes a long way in making a difference in these girls' lives. There are many ways to help out, including getting involved or making a donation. SERniña is accepting applications from Guatemalan NGOs and schools to have the SERniña Workshops instructed on-site in their program. Contact us to get involved. You can apply online! Donate to our current #ChangeHERpath online campaign to help bring Sexulan and Reproductive Health Workshops to over 600 youth. Click here to donate!